Be the first to share your favorite memory, photo or story of Nelma. This memorial page is dedicated for family, friends and future generations to celebrate the life of their loved one. 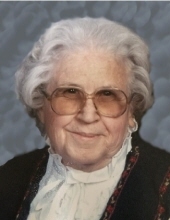 Mrs. Nelma Ginn Mason, age 87, of Tollesboro, Kentucky, passed away Thursday, March 21, 2019, at her son’s residence. She was born February 28, 1932, in Lewis County, Kentucky, a daughter of the late Clarence and Wilma Spence Ginn. Nelma was a member of the Hickory Grove Church and was a homemaker. She enjoyed sewing, cooking, shopping and spending time with her family. Nelma is survived by one son and daughter-in-law, Troy and Shari Mason of Tollesboro, Kentucky; two daughters and sons-in-law, Valerie and Bruce Funk of Mayslick, Kentucky, and Vanessa and Clark Shoemaker of Maysville, Kentucky; five grandchildren; six great grandchildren; one brother, Dennis Ginn of Maysville, Kentucky; and one sister, Charolette Spangler of Cincinnati, Ohio. She also leaves many other family members and friends who will sadly miss her. Funeral service will be held at 11 a.m. Wednesday, March 27, 2019, at Tollesboro Funeral Home & Cremation Services in Tollesboro, Kentucky, with Brother Charles Emmons and Brother David Hickerson officiating. Burial will follow in the Mt. Tabor Cemetery in Ribolt, Kentucky. Friends may visit from 6 p.m. to 8 p.m. Tuesday, March 26, 2019, and after 9 a.m. on Wednesday at Tollesboro Funeral Home & Cremation Services, 11918 KY 57, Tollesboro, Kentucky 41189. Clark Shoemaker, Tyler Ginn, Kenny Flack, Derrick Pollitt, Danny Goodwin and Steven Mason will serve as pallbearers. "Email Address" would like to share the life celebration of Nelma Ginn Mason. Click on the "link" to go to share a favorite memory or leave a condolence message for the family.